The forecast was awful, and the majority of people who turned out decided not to walk and went home again. In the event the weather was not too bad with short periods of drizzly rain and a cooling breeze. 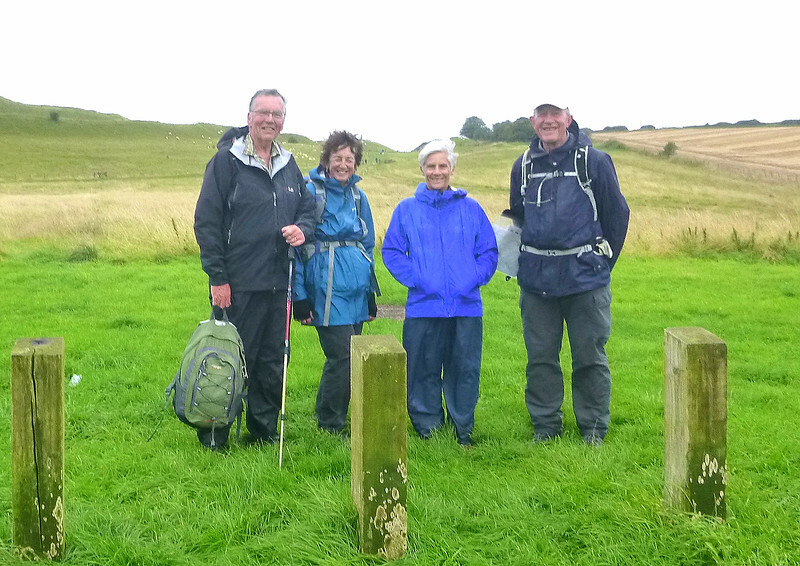 Four hardy souls actually did the slightly truncated walk. 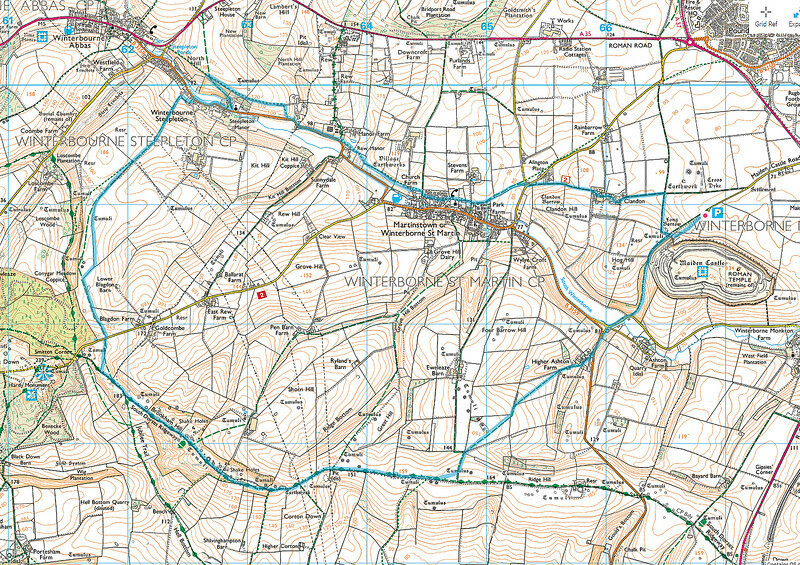 The route we walked from Maiden Castle car park. We went in an anticlockwise direction. We few, we happy few.....!